I was lucky enough to be invited to present the work of the Collaborate project at Queen’s University Belfast the other week, their Centre for Educational Development was hosting it’s annual conference, and kindly invited me over to host the afternoon keynote session. 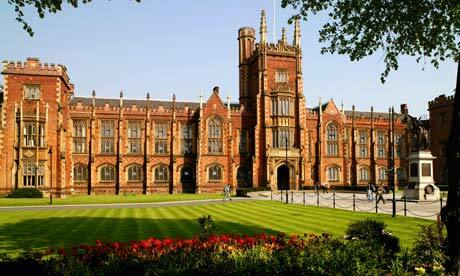 It was wonderful to finally visit Northern Ireland, a part of the UK which I’d never quite managed to get to before, and meet and discuss with colleagues topical issues of interest to both Exeter and Queen’s. The day was titled ‘Assessment and Feedback: a Road to Success‘, with Professor Margaret Price from Oxford Brookes University hosting most of the morning session. Personally I could see many parallels with Professor Price’s presentation on assessment literacy and our own work, in particular on issues like assessment driving behaviour, students needing to be aware why they’re being assessed in a particular way, and the need to address assessment literacy early on in a students academic path at University. She also noted the value of self and peer review, and how these were common in business – something which we’ve often commented on ourselves. My own presentation seemed to go down well, with lots of opportunity to engage with the materials that Collaborate has designed, including the Dimensions model and the Tech trumps. Both were well received, and as ever I left with some new ideas from colleagues about tweaks to the model and potential new tech trumps to add to our list. Many thanks to colleagues at Queen’s for the invitation, the flawless organisation and the hospitality. I’ll certainly look forward to the next time work takes me across to Belfast.